Little Raspy is a little sensitive. People don’t know him all that well yet, he’s low ABV, and got a soft, white, fluffy cap. 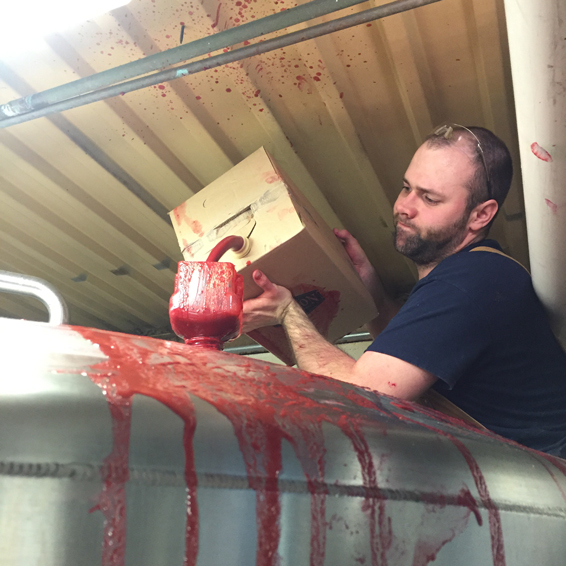 On top of that, the TONS of raspberries he’s brewed with (294 lbs per batch!) make him pour up bright pink. With such a distinctive color, you can usually pick him out from across the bar. So you can imagine that he gets a little embarrassed. And then when he’s embarrassed… he blushes and that pinkish hue shines even brighter! Kettle souring lets brewers quickly and accurately create sour beers. Generally, to make beer, you begin by steeping grain in water in a process called mashing, in a vessel called the mash tun. After getting the sugars, proteins and enzymes needed to make beer out of the grain, you transfer this sweet liquid called wort into the next vessel, the kettle. In the kettle, generally, the beer is boiled and hops are added. Kettle souring involves putting another step in the process prior to boil. When the wort has been moved to the kettle, souring agents, specifically lactobacillus, are pitched. Lactobacillus is the same organism that makes yogurt tart – it eats sugars and spits out lactic acid, which is one acid that can make beer sour. After you get the sourness level you want, you boil the beer as normal, stopping the lacto in its tracks. 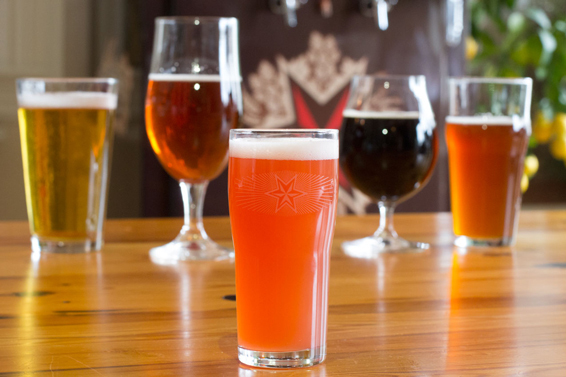 You transfer to a fermenter, pitch yeast, and you’re back to following standard brewing practices. That’s part of what makes kettle souring so interesting and attractive – by boiling immediately after souring, you don’t risk infecting the other beers in the brewhouse, and you can make interesting sour beer in relatively short order. Bonus Fact: Raspy actually undergoes an entire second fermentation… this time after we add all those raspberries. With it’s clean tartness and inviting raspberry aroma, the crew thinks Raspy tastes like raspberry-lemon sorbet, or maybe like a refreshing beer smoothie. Find it on draft at specialty locations now.